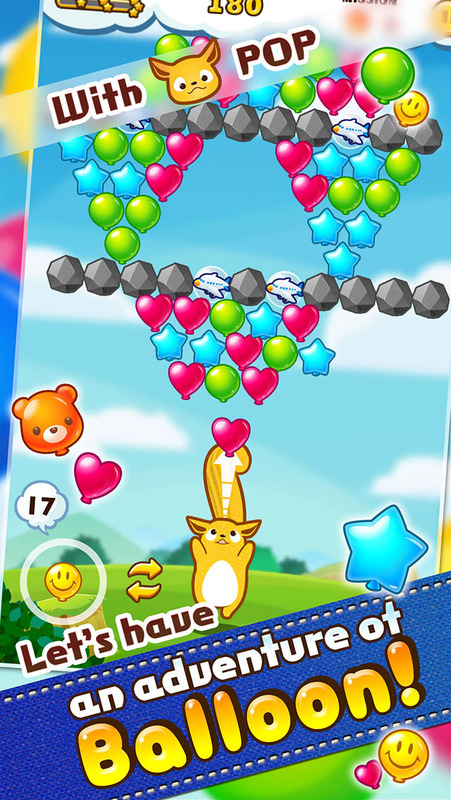 PRO.APP famous for solitaire released new game which Balloon Pop Bubble shooter! Let's feel good to shoot and match and pop the balloons! Let's have an adventure of balloon with POP! - Bubble (known as Bubble Shooter) game popular bubble became balloon! - Because it is balloons, movement maybe soft and puff. - Wow! There are 55 stages in this game! - Try compete with other players via world ranking. - "First time bonus!" Present 3 lives for you. - "Release campaign"  Recovery time of lives is shorter. - You can get a life and special items as a daily bonus. information page. We will answer individually. so please give us your feedback on product usage. by CV + AR d.o.o.